The trends in design towards nostalgia can result in some truly lovely work (like this stuff, and most definitely this stuff). And there is of course always a time and place that's appropriate for almost any trend that comes down the pike. 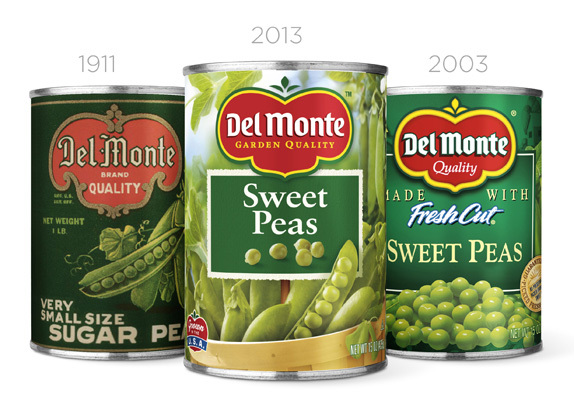 But a recent redeisgn of the Del Monte brand brought out those that are so either blinded by trend or so nostalgic for a different era that their judgement seems completely wacky. "I wish I could be as effusive about the packaging as the logo but mainstream consumer packaging for any product in any leading market-share positioning always seems to have a way to be graphically disappointing with far too many sales-driven ploys: Show a photo of the actual product! Show an illustration of an idyllic birthplace for the product! As much as the logo simplified its predecessor, the new packaging seems to overcomplicate things. Wouldn’t it have been awesome if the new design looked more like the 1911 version shown above?" I'm not sure what to think here. Am I to believe that a black label on a gold can that looks like it has been on the shelf for 90 years is the superior packaging solution. This is not to denigrate the design of that era, but if that were on the shelf next to the latest iteration I have a hard time believing it would sell more product – which is sort of the point of the endeavor. All of the "sales ploys" are essentially the way that we can tell a story about a product. Whether that story is mouth-watering delicious, or health conscious and wholesome, it gives someone an idea of the supposed difference between one guy's peas and another guy's peas. 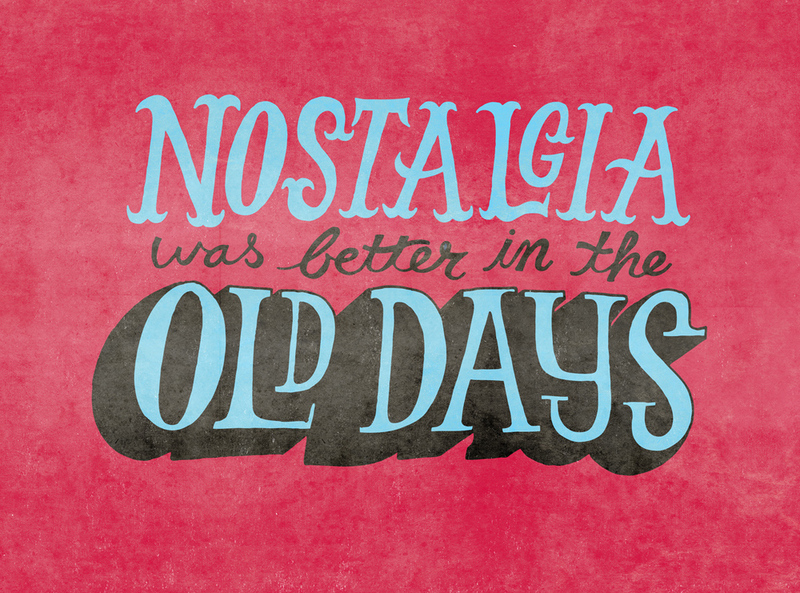 Nostalgia is an excellent storytelling device, and can be a lovely design trend. It feels good to go back to a time that has had all the rough, awful, complicated edges polished off by our memory. It's why Nick at Nite exists. It's why we go to go to car shows. It's what makes us say they don't make them like they used to. Which sounds great but in practice can be insane. They make them better than they used to. A car today is comically safer, more efficient, more comfortable, and even smarter. Design can harken back to yesterday, but let's remember we still live in the here and now, and clients are selling products now. Sometimes things that look like they are from are better than those that follow a trend of looking like their from yesterday. And thank god. Otherwise why would anyone need us to create anything new?